All Barr’s Hill Students articulate a strong sense of PRIDE, belonging and loyalty to their school and community. They are confident and aspirant, have a clear plan for where they want to be and know the next steps they need to take to get there. They are able to talk formally about their learning with their peers and explore concepts and ideas leading to their excellent extended writing skills which they apply across the curriculum; they are numerate and able to problem solve; they are well prepared and able to plan independently; and they are determined learners and can self-manage. Their involvement in school life and enrichment experiences in sport, the arts and service make them confident and well-rounded individuals. They are empathetic and understanding of others showing respect to all. When things go wrong they are resilient, reflective and able to put things right. Their exam results are excellent giving them a passport to the next stage in life where they are competitive with their peers nationally. Students First – all staff, governors & parents totally focused upon the education of all our students. It’s about learning – students, all staff, governors & parents totally focused upon developing and improving the learning of students underpinned by harmonious and trusting relationships. 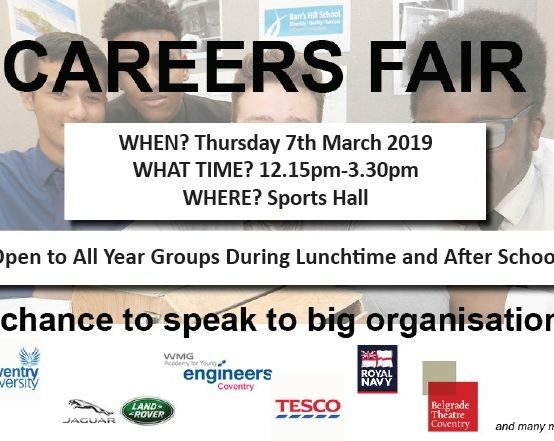 No Barriers – no excuses, only support to ensure students, all staff, governors & parents maximise the academic achievement of students whilst enabling them to develop and flourish as well rounded individuals. The curriculum includes the formal programmes of study, the quality relationships amongst all members of the school community, and the values and activities fostered by the school. It includes all those activities that promote the intellectual, personal, social and physical development of students beyond formal lessons that offer many opportunities and challenges; students will be encouraged to develop new talents, explore existing strengths, and make a positive contribution to both their school and wider communities. Schools have a responsibility to cultivate the values and virtues they deem important to develop character and prioritise and integrate them into all areas of school life. At Barr’s Hill these values are defined through PRIDE: Prepared, Respect, Individual, Determined and Excellent. The PRIDE framework underpins the school curriculum and allows students to develop learning habits. Well planned student leadership opportunities ensure students can demonstrate PRIDE as a leader. Rewards for their leadership are high profile and students reflect on their impact as leaders against PRIDE. The school has a varied enrichment programme that allows students to take part in Sport, the Arts and Service enrichment. 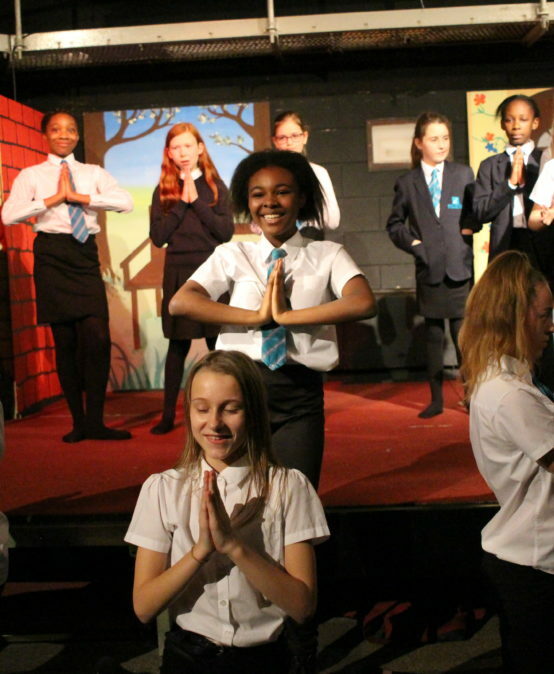 All students engage in high quality oracy and literacy enrichment via debate, drama, public speaking & formal presentation. All KS3 students present formally to their parents and peers. Broad and balanced: a curriculum that provides students with the skills, knowledge and understanding they need to develop into well-rounded, informed individuals. Our Key Stage 3 curriculum has an explicit focus on technical literacy, exploratory talk and extended writing. These transferable skills ensure students possess the language of thinking enabling them to understand key concepts and skills. Coherent: a curriculum which builds subject skills and deepens understanding of concepts rather than content coverage to ensure students are prepared for the next stage of their learning including GCSE and P16. Our Key Stage 3 curriculum involves careful planning of what students, must know, understand and be able to do in each subject area to prepare them for the next stage in their learning. Progressive: our curriculum is comprised of a logical series of planned and coherent learning experiences designed to enable students to make sense of their learning and build their subject skills and understanding of concepts in readiness for the next stage of their learning. A well planned and aspirational Bridge & Y8/9 curriculum means all groups of learners meet their academic potential and are GCSE ready by the end of Year 9. Challenging: the challenge of curriculum experiences should be appropriate for all students whatever their ability. The school aims to ensure students engage in a curriculum that is relevant to their experiences and with the flexibility to provide focused support and accelerated challenge where needed. The Key Stage 3 curriculum model is designed to allow all learners to reach age related expectation by providing additional targeted literacy and numeracy intervention where needed. The core curriculum for all Key Stage 3 students includes English, Mathematics, Computing/IT, Science and Physical Education. Citizenship, SMSC and Careers Education is taught throughout and within all subjects and through our pastoral programme. Humanities (History, Geography and RE) and Creative Arts (Drama, Music, Art and Technology) are taught as part of a thematic curriculum with extended learning time. This extended learning time gives students the opportunity to learn, grasp and understand key concepts, providing depth to their learning experiences. It also reduces the number of teachers students will work with allowing learning relationships to develop. Additional literacy/ numeracy intervention is timetabled for all students who are not yet reaching age related expectation in English and Maths. Modern Foreign Languages (Spanish or French) is taught to those at or above age related expectation in English and Maths. Key Stage 4: the core subjects are English, Mathematics, Science, Physical Education, History or Geography. Citizenship, SMSC, RE and Careers Education is taught throughout and within all subjects including through our pastoral programme. In addition, following guided discussion with teachers and parents, students choose from a broad range of options (academic and vocational) which have equal value in the curriculum but also focus on life chances and allow for success/progression for further study, either at P16 select or alternative study. All students will have 3 option subjects. Further opportunities to study Triple Science as an additional option are available for some students. 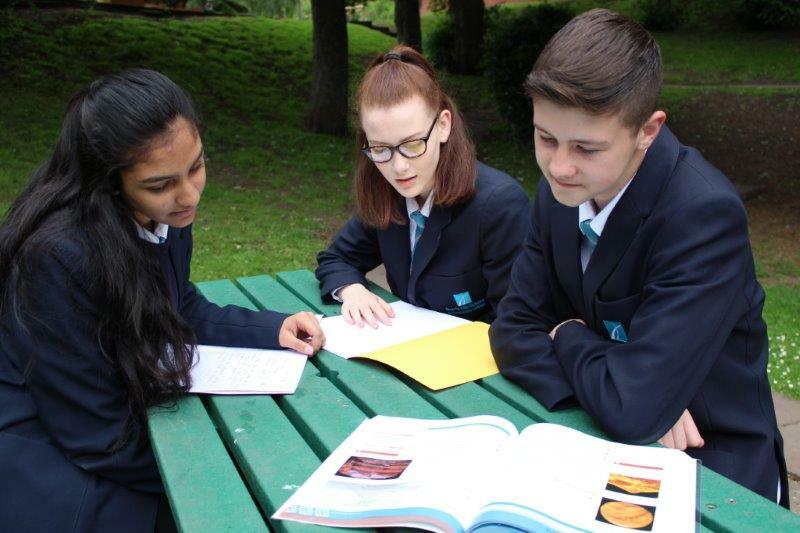 Main option choices are chosen in Year 9 although there is some element of choice in Year 8 to specialise in subjects outside the English Baccalaureate. We offer a broad range of subjects in Key Stage 4 including a number of creative subjects to ensure our curriculum is varied and accessible to all leaners. Key Stage 4 options subjects include: RE, Psychology, Drama, Spanish, Art and Design, BTEC Sport, BTEC Business, BTEC ICT, BTEC Engineering and Sociology. Post-16: The curriculum, delivered in conjunction with President Kennedy School, offers an exciting and flexible range of courses including A-level, vocational and GCSE options, which have equal value in the curriculum. Students also study PSHE and benefit from extensive CEIAG support. Enrichment opportunities include sport, music and drama. Dependent on their programme of study, students may complete the extended project qualification and/or receive significant work experience opportunities. This is designed to support their studies and to enhance employability. Where appropriate, students are guided towards vocational pathways available through collaboration with colleges, our Federation partners or other providers. The majority of students will study 3 A-Levels. A fourth option may be considered for individual students. Each route is the equivalent to 3 A-Levels. At each Key Stage the curriculum builds upon previous experiences. Assessment of students’ learning aims to ensure that all students have an awareness of their progress and understanding and should be used as a basis for developing teaching and learning strategies. Recognition of student achievements is an important element of promoting self-confidence. At key Stage 3 students are accurately assessed against their skill development. As a result they can clearly articulate the subject specific skills they need to improve to become GCSE ready. In all subjects summative assessment statements are used to measure progress each term. This skills statements look different in each subject. Each subject will be split into several skills and teachers will have to input whether a pupil is beginner, developing, secure or expert in those skills based on the statements provided. At Key Stage 4 and 5 students are assessed through formative and summative assessments to prepare for their chosen qualifications. This includes in class assessment, trial exams and controlled assessments.